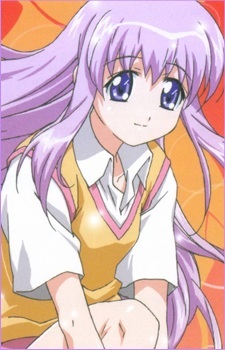 Nanami is the female leading character of the story. She has long light purple hair. She is Kenji’s childhood friend, next door neighbor and classmate at school. She owns and tends her vegetable field on the outskirts of town. Since they are neighbors, they take turns waking each other up every morning.